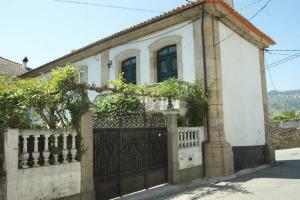 Quinta das Alfazemas price per day from € 55 Located 5 km from Mafra city centre, Quinta das Alfazemas offers a countryside location in Póvoa de Cima, 9 km from Ericeira village centre. Each white-washed house or studio features a fireplace and an outdoor barbecue area. A little bit further, guests will find supermarkets, shops and the motorway leading to Lisbon..
B.Ericeira Surf rental Ericeira Surf rental offers accommodation in Ericeira. 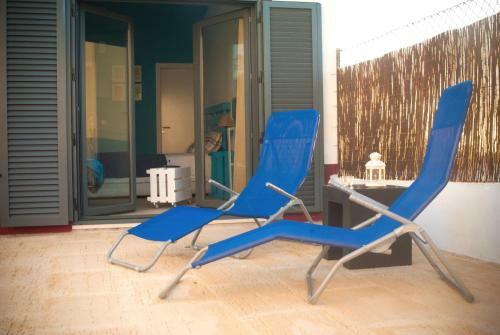 Ericeira Surf rental, while Sintra is 19 km from the property..
Central Square Apartment Located around 100 metres from Pescadores beach in Ericeira, the Central Square Apartment is an elegant one-bedroom apartment with free WiFi access. The bedroom has twin beds which can be put together. Quinta do Dagaio price per day from € 82 Quinta do Dagaio is an eco-tourism property with unique decoration and furnishings, all hand-made by the owner. Some units also include a satellite TV and a terrace. It is a 28-minute drive to scenic Sintra, with many landmarks such as the Pena Palace, Monserrate Palace or the Regaleira Estate..
Villa Ana Margarida Residence Just 100 metres away from Ericeira Beach , the Villa Ana Margarida Residence is located at the centre of Ericeira. 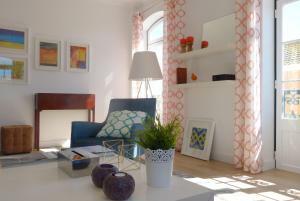 The property is a 37-minute drive from the Lisbon city centre. Alternatively, the region has a number of local restaurants within 200 metres, most serving traditional Portuguese meals..
Casa da Vila Ericeira Featuring free WiFi access available throughout, Casa da Vila Ericeira offers a self-catering house in the centre of Ericeira. The beachfront is a 4-minute walk from the property. Holiday home Peppermint GuestHouse price per day from € 40 Offering free bikes, Peppermint Guest House is located in Ericeira. The 1-bedroom accommodation comes with a TV and a patio. Guests may cook their own meals in the equipped kitchen, the barbecue facilities or the wood-burning oven in the garden. 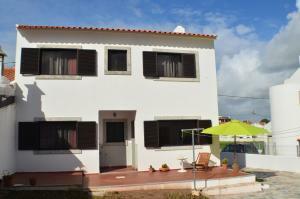 Casa da Meã Featuring a terrace, Casa da Meã is a 4-bedroom holiday home located 800 metres from the centre of Ericeira. The Pescadores Beach is 1 km from Casa da Meã, and the restaurants and bars of Ericeira are around 800 metres. Blue Buddha Beach House Situated directly on Ericeira’s beach, Blue Buddha Beach House features panoramic views of the Atlantic Ocean. Guests have easy access to surfing beaches, bars, restaurants and nightclubs. The hostel has a lounge area with a TV and DVD player. Ericeira Chill Hill Hostel & Private Rooms - Peach Garden price per day from € 65 Located in Ericeira, this property is a 10-minute walk from the beach. With views of the surroundings, rooms and dormitories all come with free WiFi access and some have a balcony. Blue Buddha Hostel price per day from € 20 Just across the street from the beach, this hostel boasts stunning views of the sea and provides guests with a tranquil base during their stay in Ericeira. Pay a visit to the communal pool and have a drink at the bar..
Hotel Vilazul price per day from € 35 . Tres Bandeiras guest house B&B Located a 12-minute from Ericeira centre and 1 km from Foz de Lizandro and São Julião beaches, the Tres Bandeiras Guest House features a tranquil setting. It offers free WiFi access and a homemade breakfast. Some rooms offer side sea views, and others include a large balcony. 6. Follow signs for Norte/Alverca/A9/Lisboa/Cascais/A5. Toll road. 9. Take exit 5 toward N8/Mafra/Malveira. Toll road. 11. At the roundabout, take the 4th exit onto N116. 12. Turn right onto Rua dos Bombeiros Voluntários/N247. 13. Turn left onto Calçada do Rego. 14. Turn right onto Largo de S. Pedro. Ribeira Beach, Cascais, 16.4 km from the centre of town of Ericeira. Golf club Belas, 21 km from the centre of town of Ericeira. Golf club Penha Longa (Atlantico), 22.5 km from the centre of town of Ericeira. Park Marechal Carmona, Cascais, 25.6 km from the centre of town of Ericeira. 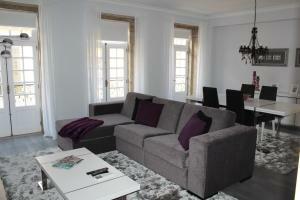 Golf club Quinta da Marinha, 28.8 km from the centre of town of Ericeira. Cascais, Lisbon, 29.6 km from the centre of town of Ericeira. Golf club Oitavos Dunes, 29.6 km from the centre of town of Ericeira.